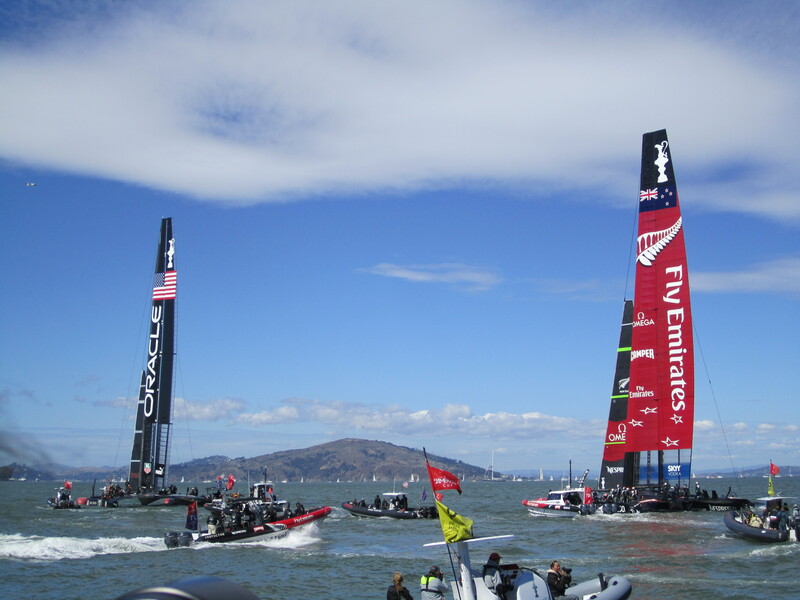 Massively expensive yachts aside, this sailing stuff is pretty exciting. 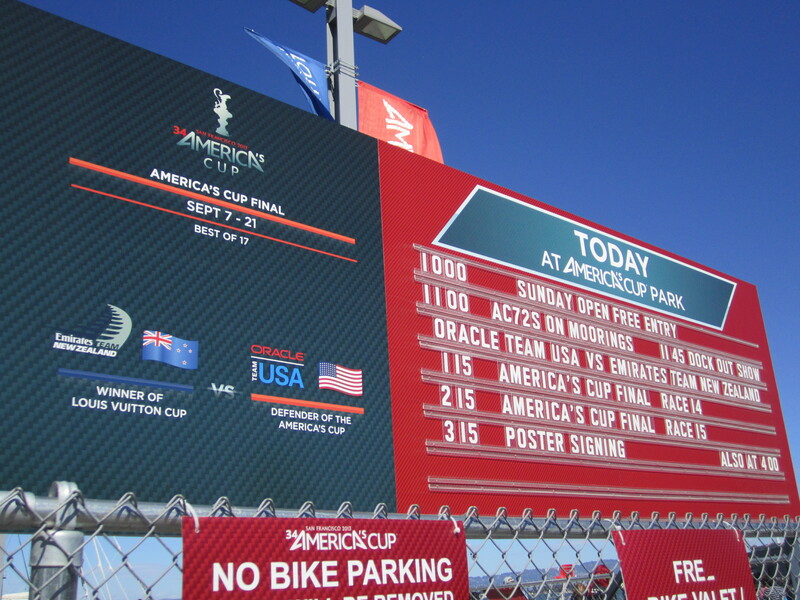 Blessed with a break in San Francisco this weekend, I took a turn by America’s Cup Park for Race 14 of the America’s Cup 34 final. 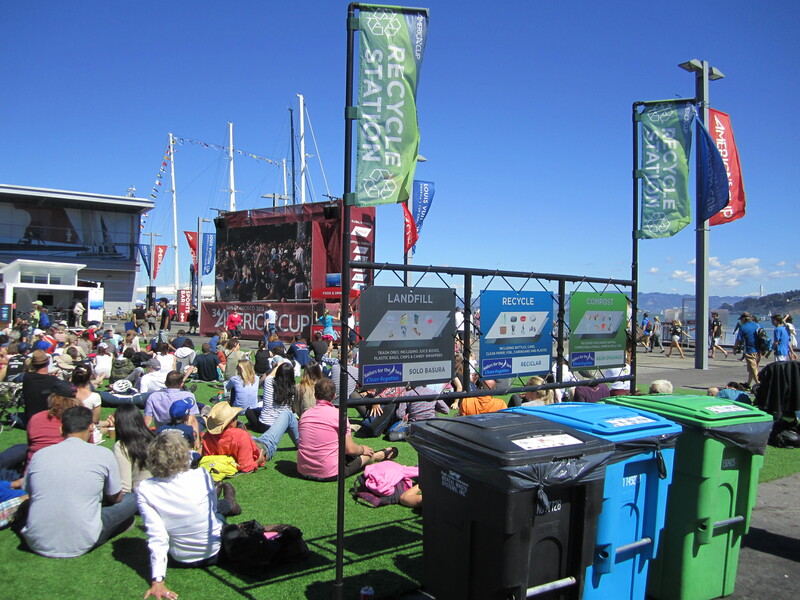 In between the excitement of Oracle Team USA and Emirates Team New Zealand squaring off, I found some examples of event sustainability at work! 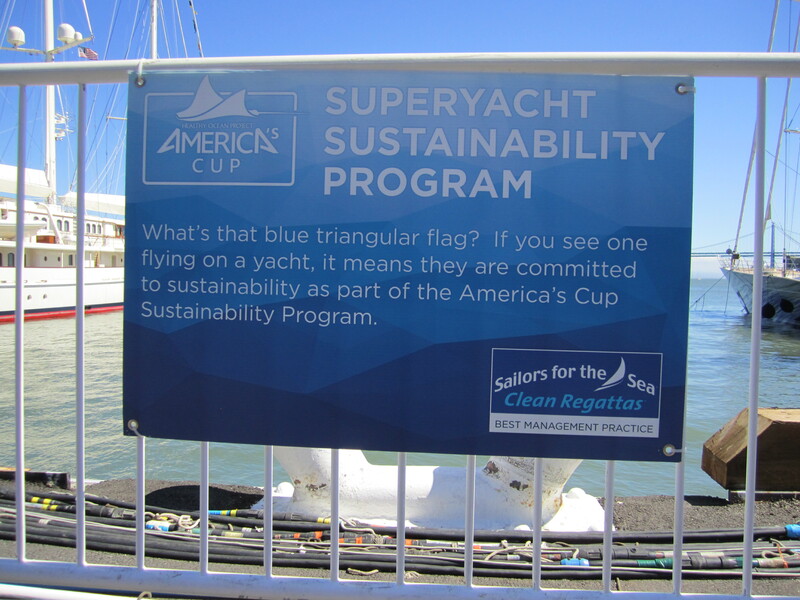 Check them out below, and for more information on the event’s sustainability strategy please visit the America’s Cup website. Race day line up: do or die for the defending champions! 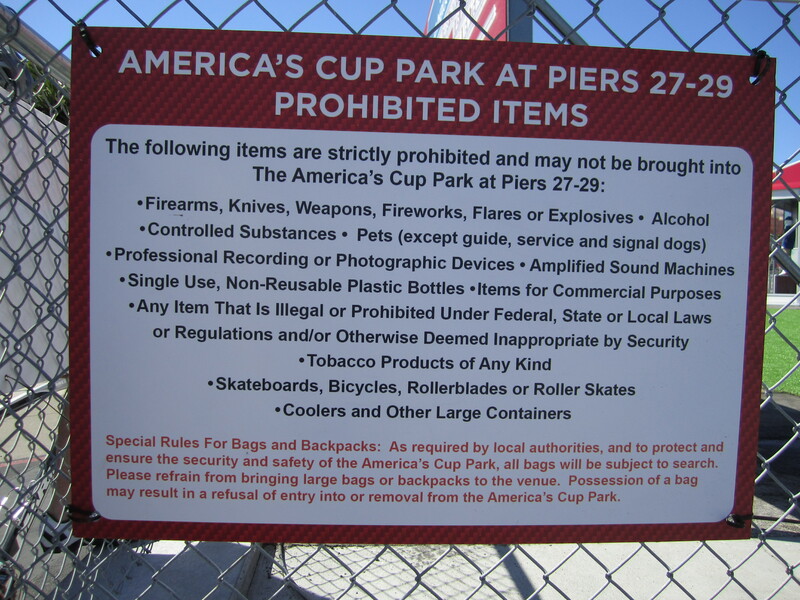 As a condition of hosting the Race, a progressive transportation plan was required by the City of San Francisco. This plan is available online and includes strategies for biking, walking and transit use. The transportation plan includes a free bike valet service which, based on the photos below, appeared well-used! 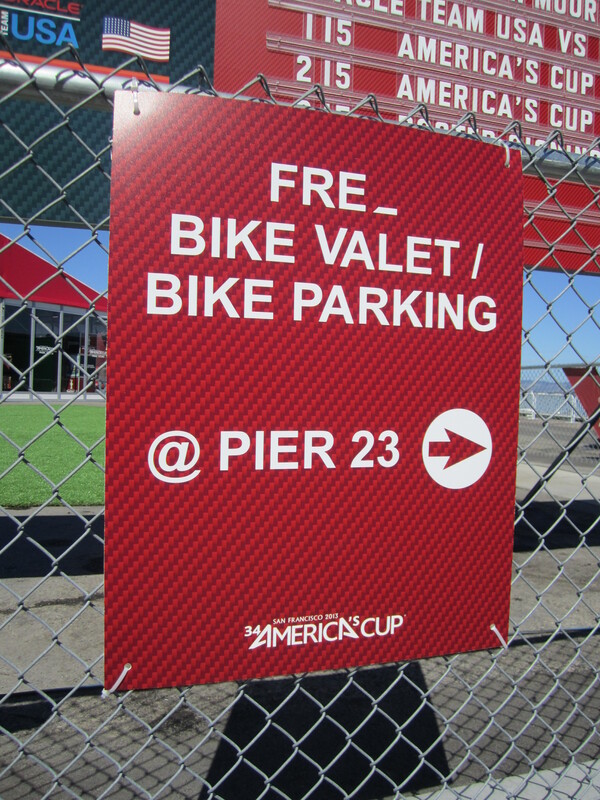 Bike-users take advantage of free bike valet services at the pier adjacent to the America’s Cup Park. 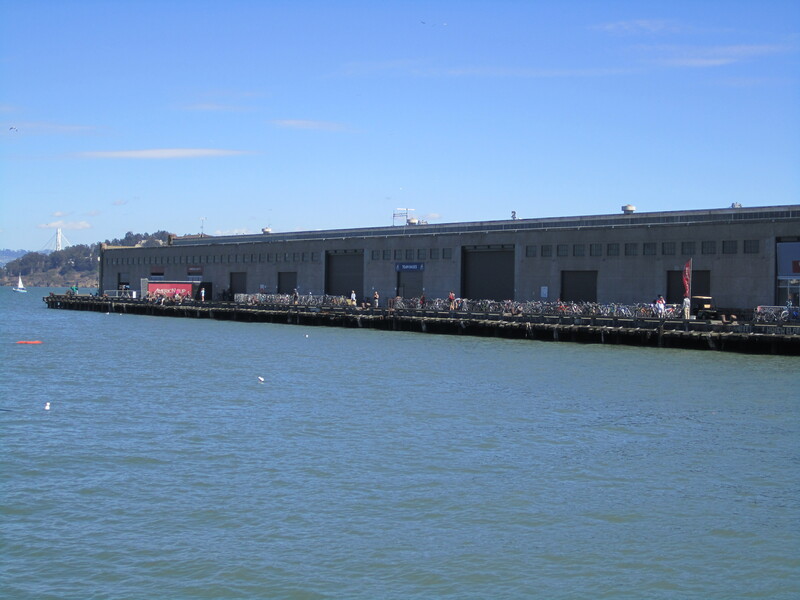 Free water refill stations use San Francisco tap water. 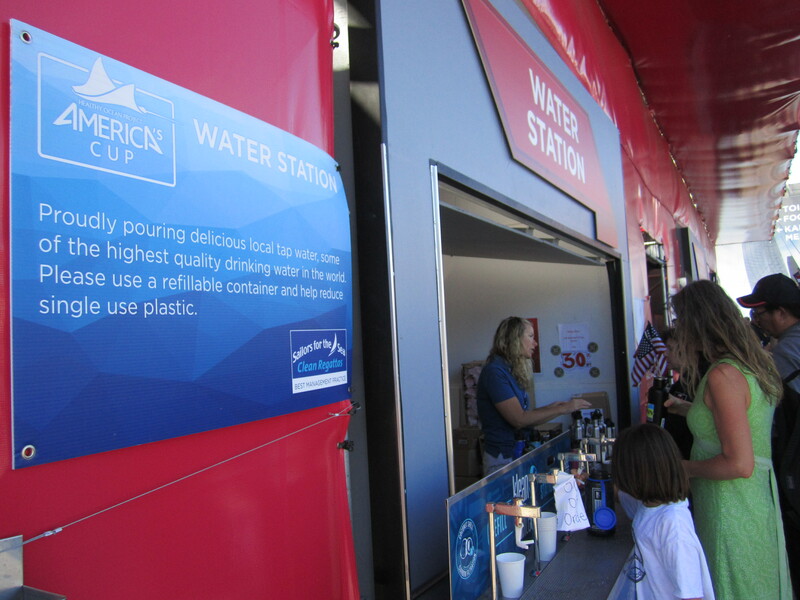 Refill stations share facts and information to discourage single-use plastic. 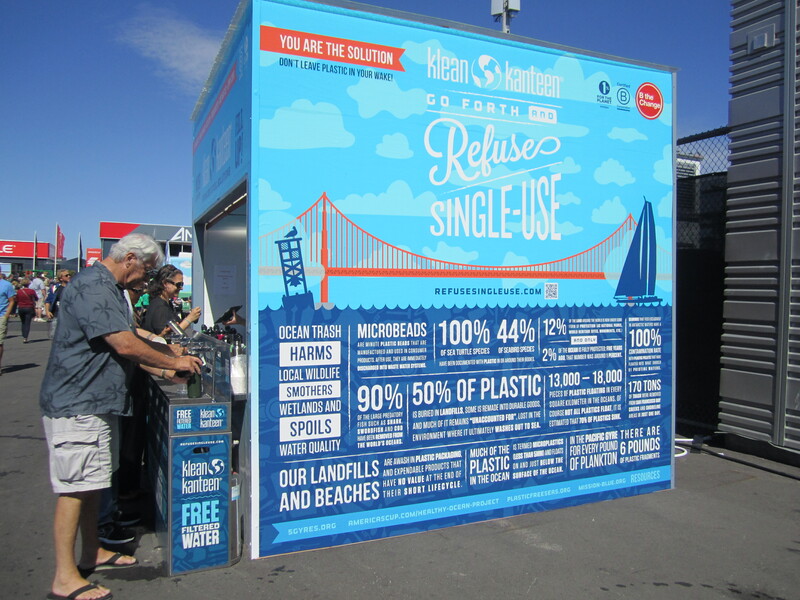 Bright recycling stations are found throughout the site and, although were not staffed this day, include photos of acceptable materials. More information on the event’s zero waste plan, including outcomes to date, can be found here. 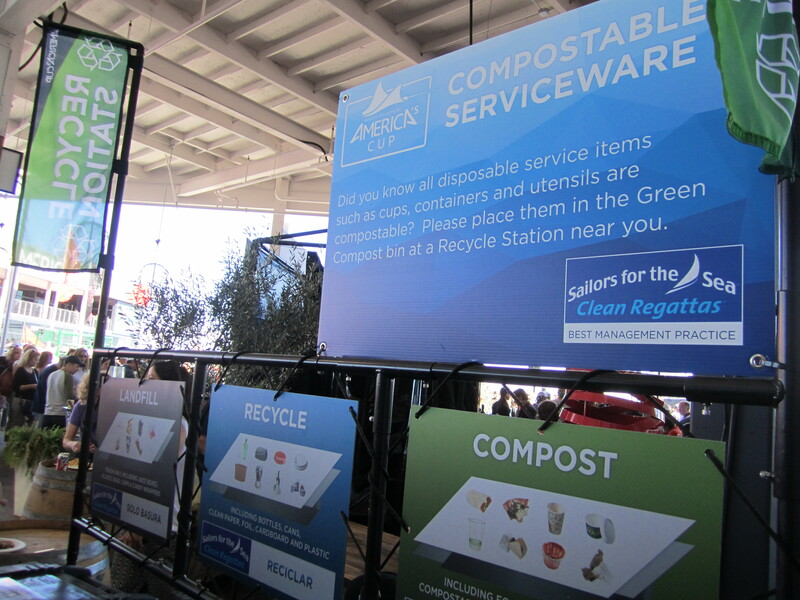 Food service areas provide special guidance on how to dispose of compostable serviceware items. 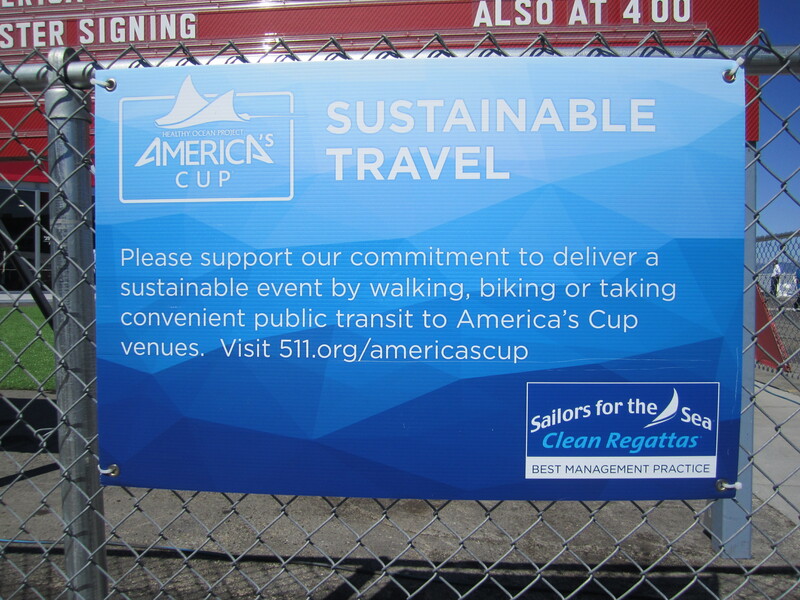 More information on the Clean Boating Pledge can be found on the America’s Cup website. 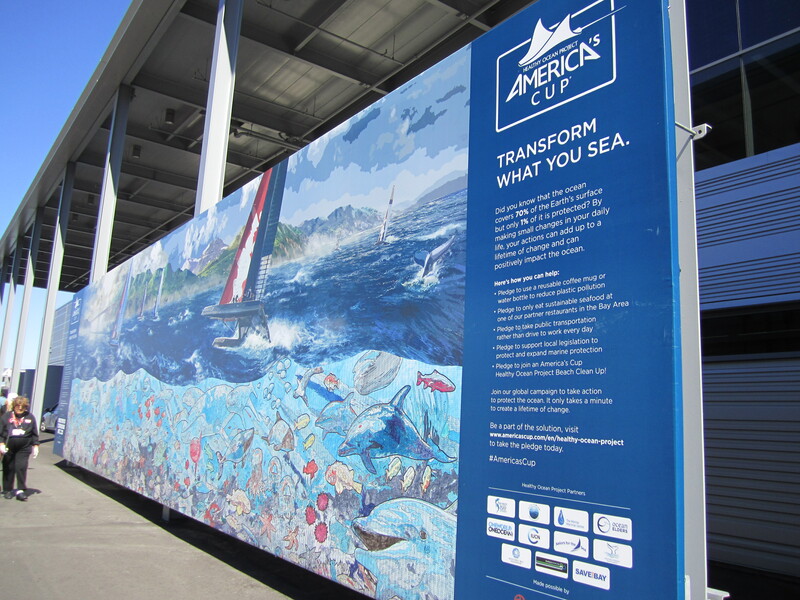 Onsite education and social media advocacy regarding the America’s Cup Healthy Ocean Project encourage attendees to commit to support ocean conservation. 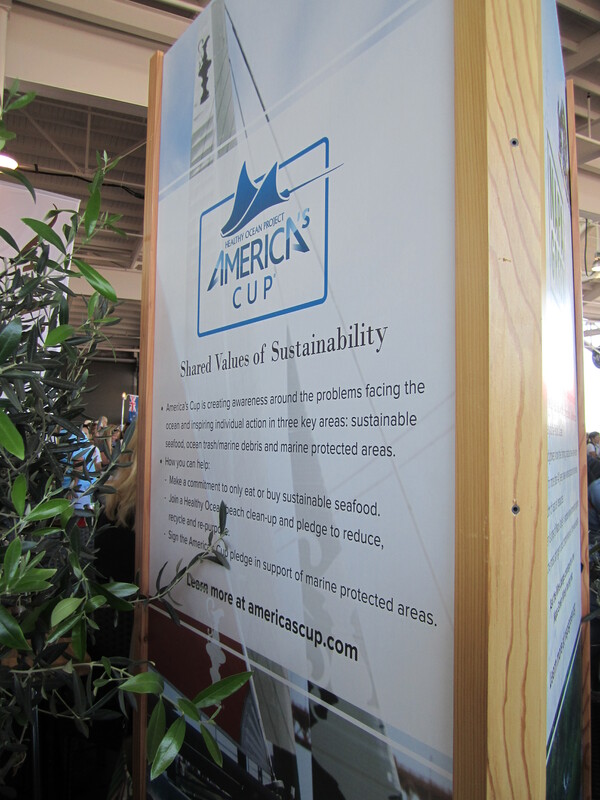 Principles and goals for event sustainability are displayed onsite. AC34 organizers have aimed to follow ISO 20121 compliant approaches and intend to report event sustainability outcomes using the Global Reporting Initiative Event Organizer’s Sector Supplement. Oh yes! And of course, there’s the racing! ← Do events have the power to heal?